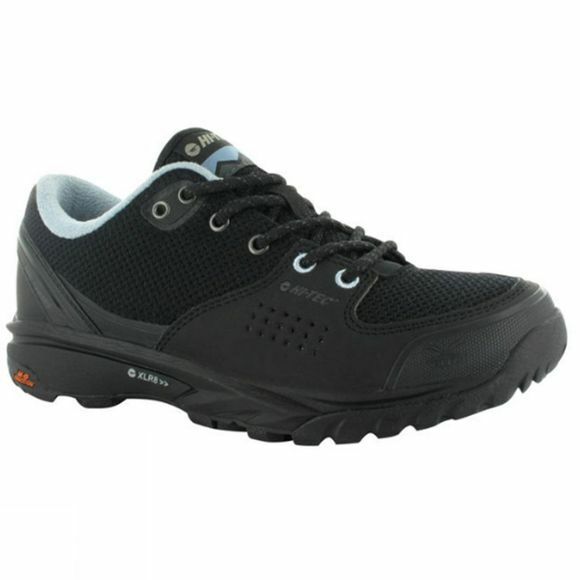 The V-Lite Wild-Life Low i Waterproof women's walking trainer is a versatile, casual outdoor shoe. These waterproof women's walking trainers are resistant to stains thanks to our exclusive i-shield water and dirt repellent technology. The waterproof, breathable Dri-Tec membrane keeps feet dry, while the high performance synthetic upper is breathable and durable. These walking shoes are also exceptionally comfortable thanks to the micro-fleece moisture wicking lining and Orhtolite Impressions slow recovery foam insoles which deliver superior cushioning and long lasting comfort. Further cushioning is added with the XLR8>> impact absorbing, high rebound midsole. The V-Lite design keeps them lightweight and the forkshank adds flexibility and stability. To keep you grounded when you hit the trails, the Multi-Directional Traction (MDT) rubber outsole improves grip when walking up and downhill. Casual waterproof women's walking trainers which are also suitable for multi-sport and everyday where, from town to trail.